There’s been quite a bit of head scratching over here at Vampirates HQ as we try to decide which one of the Vampirates books is our ultimate favourite. Frankly, we can’t actually decide. We love them all: from Demons of the Ocean to Dead Deep. But maybe you can! So, we’re running a reader’s poll right now on Justin’s Facebook page. Simply follow the link and vote for your favourite book. We can’t wait to see the results! I genuinely cannot decide it’s so hard! This will have to take a lot of thinking! They’re all so good! It depends what mood I’m in as well. Right now I’m re-reading Tide Of Terror and I love that one, But I love them all! I live them all. I can’t deicide because all the storys are unique. … I … I cant decide … I think that when you were waiting for the next one to come out, waiting for black heart was pretty painful :L but i did love the first one. I really can’t decide. They’re all great books. I would have to say Black Heart or Immortal War. But I LOVE all of them! I love the 1st one the best. Though the rest were quite delightful. I’d have to say the first one, Demons of the Ocean, but only because that one held the most of the mystery of the vampirates, at least in my opinion. We first began to learn about them and their form of culture, and soon watched as Grace delved deeper into the little world they had set up, along with Connor exploring his own adventure on The Diablo. i like them all but my favorite would have to be… um… wait for it… ok, here it goes… Empire of night. I’m not sure why its my favorite, but i couldn’t put it down. My teacher yelled at me because i was reading instead of working but it was totally worth it!! Best book EVER!!!!! Immortal war was a good ending. Immortal War BY FAR! Then perhaps Blood Captain because of lorcan giving Grace a kiss on the head. I don’t know, that book is amazing! I love all the books. But I really liked Black Heart for the fact that I felt it got darker. I did just finish reading the last two books and I kind of like Immortal War the best. I don’t know who said it, but loads, and loads, and LOADS of Johnny Desperado. . . Perfect!!!!! ^_^ EON is the best! My favorite book from my favorite book series is definitely blood captain because it was full of happiness and stuff started to happen. It is a tough question. I really don’t know. All of the Vampirate books are really good and I have loved then all. I feel a really strong connection with Grace Tempest and she is probably my favourite character but when it comes to which book I like best I wouldn’t have a clue. 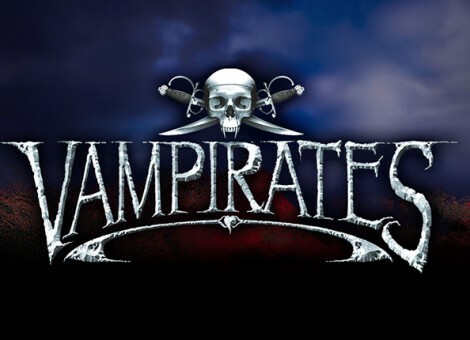 The Vampirate books have been written so well and I care about all of the characters but I don’t have any idea which book is the best. I fell in love with Black Heart. It just was such a page turner for me! I finished it in about 5 days. It’s so hard to choose! I’d say it’s Demons of the Ocean, but also I quite liked Immortal War. I cried so much at the end!